Traders work on the floor of the New York Stock Exchange (NYSE) in New York on July 13, 2018. A blockbuster earnings season is being wasted on an uneasy market. With U.S. corporate profits soaring, many companies that are beating analysts' estimates are being meagrely rewarded, and those that miss are being thoroughly punished. There are a number of forces likely contributing to the market’s cool reception to strong corporate performance – profit-taking after some early summer gains in equities, the distorting effect of U.S. corporate tax cuts on earnings forecasts and a growth scare focused on the mighty tech stocks that sit atop the U.S. stock market. Beneath the recent volatility, however, earnings in the United States tell a story of continued corporate prosperity that, coupled with broader economic growth, is providing fundamental support for stock prices. About two-thirds of the companies in the S&P 500 index have now disclosed their second-quarter performance and the results are unequivocally positive. More than 80 per cent of companies have beaten Wall Street earnings estimates, putting year-over-year profit growth for the quarter on track for 25 per cent, according to Credit Suisse data. Earnings beats should often be taken with a grain of salt, as the lead-up to earnings season typically sees companies reduce expectations, making it easier to clear a lower bar. But it’s unprecedented to see so many companies surprise to the upside. Additionally, nearly 60 per cent have beaten on both earnings and revenues, which Merrill Lynch analysts said is close to a record high. “It’s surprising so soon after industry analysts scrambled to raise their second-quarter earnings estimates at the beginning of this year,” Ed Yardeni, a U.S. economist and strategist, said in a recent note. When U.S. President Donald Trump signed a bill slashing corporate tax rates just before Christmas, he added rocket fuel to what was already an ascendant profit outlook for Corporate America. It could be the case that Wall Street analysts are having trouble keeping up, according to Goldman Sachs analysts. There has been no more dizzying postearnings stock action than Facebook Inc.’s 20-per-cent decline that started a week ago, wiping out more than US$100-billion from the company’s market value. Facebook sent a jolt of fear into one of the most popular trades in U.S. equities, as investors started to question the growth trajectory of the country’s tech and internet giants. And yet, earnings themselves were not to blame. In the case of Facebook, Netflix Inc. and Twitter Inc., which saw their stocks pummelled after reporting earnings, all three came in ahead of profit estimates. The rush to sell those stocks was largely the result of concerns about things such as user growth. Apple Inc., however, put at least a temporary end to the tech sell-off with a second-quarter earnings report that beat forecasts on virtually all measures and quelled concerns about a sector-wide slowdown. For all the recent drama in markets, the net effect of earnings season has been close to nil. 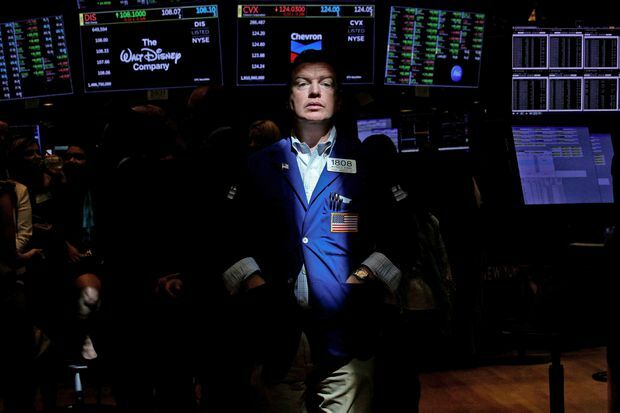 Since earnings season got under way in earnest a little more than three weeks ago, despite all the upside to earnings, the average one-day price reaction for S&P 500 stocks has been a measly 0.6 per cent, according to Bloomberg data.